It’s been a while since I posted something. 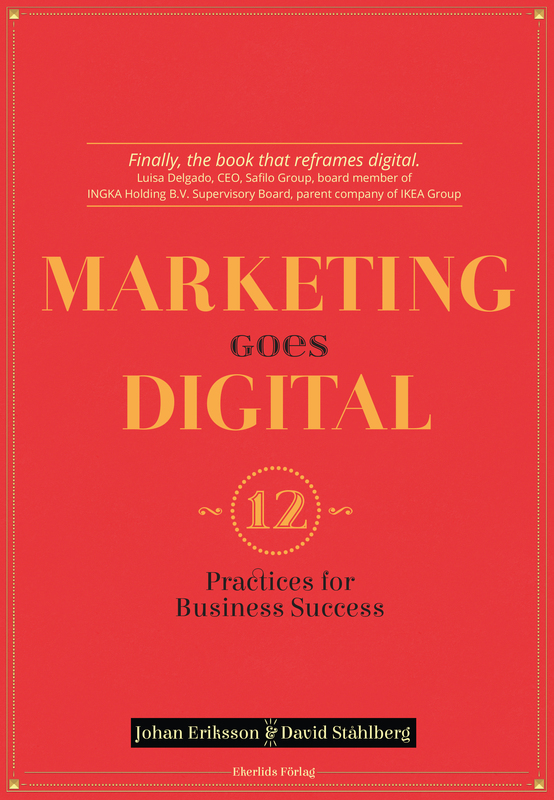 I’ve been busy publishing the book Marketing goes Digital. It’s been really great fun writing a book, and now I’m back at the blog. The book aims to cover what it takes to be customer-centric in a rapidly changing digital world by looking at how to do marketing today from A to Z based on 12 business practices. In this article I summarize the book, but the book provides more tools and in-depth understanding of each section. If you find it interesting you can get it at MarketingGoesDigital.com. Summary: You need to know why your business exist, specifically you need to know in what way you seek to improve people’s lives if you want to have a customer-centric business. That story needs to 1) explain how you seek to improve life for people, 2) be about your core business, i.e. what you actually do, 3) guide your future such as which innovation projects to pursue, 4) run throughout the entire organization. Next step: Write down the story about how your business aims to improve life for people and summarize it in one statement that you seek to deliver on day-in day-out. Summary: To organize for change you need to 1) be clear about what you aim to achieve, 2) consider what capability is needed to get there, 3) judge what capability should be in-house and what capability should be outsourced to agencies and other partners, 4) pick partners, 5) organize the team. Throughout all of these steps you need to have the ambition of becoming the best in the world at what you do. To motivate the organization continuously you also need to 1) have a clear purpose (practice 1), 2) ensure everyone learn & develop continuously (practice 3) and 3) give freedom to people to achieve clear objectives in the way they want. The most important thing however is to ensure that everyone feels that we are all in it together. 1. Who are your owners and what does success look like for them? 4. How do you turn innovation into a competitive advantage? 5. What have you done and how did it go? 6. How fast are you? 7. Who will be on my team? Next step: List the capabilities you need to deliver on your purpose and reach out to the best people in the world in these fields asking for their input. Summary: Creating a learning culture starts by infusing curiosity in the organization, this is done by 1) asking a lot of questions at all levels in the organization, 2) sharing pieces of information with each other about important things we need to learn (you cannot be curious about what you don’t know anything about), 3) top-management role-modeling a curious behavior by admitting what they don’t know, not always stressing about short-term gains and trying to simplify what’s complex. Every individual and the company as a whole should have a learning plan. This is created by analyzing where you want to be in time X from now, what you need to learn to get there, and picking learning modules that suits you. Next step: Have every person create a learning plan and schedule a weekly recurring 10 min meeting with themselves where they review their progress and hold themselves accountable. Summary: The objective of marketing is to connect with potential customers, when and where they show relevant interest, and increase the likelihood of purchase. There are many objectives and KPIs you can track linked to this. The important thing however is to start with what you want to achieve and focus on tracking only that so that you actually take action on what you are tracking. People who starts tracking everything that they can possibly measure risk getting buried in data. You can segment your KPIs by level of intent expressed by people. Using the model SEE, THINK, DO, then DO is the people ready to buy now, expressing lots of commercial intent, THINK are the people that have started to signal an interest in your industry, and SEE are people who have not yet signaled any interest but that at some point in their life could become a customer. For DO the ultimate KPI is whatever financial KPI is most important to your business, often top-line revenue or bottom-line profitability. For THINK and SEE the most important thing is that your efforts makes people consider you, which can be tracked via a KPI such as brand searches, i.e. people looking for you, not for the industry as a whole. Once you have locked your KPI structure you need to practically track it by 1) Collecting the data you need, 2) Choosing a dashboard technology (for example Domo), 3) Ensure everyone in your company and all partners have access to the dashboard – sharing is caring. To conclude how aggressively you can go after delivering on the KPIs you need to know what your maximum cost of sales is. Until you reach that cost you can accelerate investments more. Next step: Agree on the most relevant KPIs for your company and sales & marketing department and agree with your CFO on your maximum cost of sales. Summary: Approach listening using these five steps: 1) Get a first read by browsing around various platforms and data sources, 2) Prioritize which platforms to monitor continuously, it could be specific discussion forums, media outlets, social media groups and other places, 3) Choose which tools to use to monitor these platforms, 4) Create a schedule for when you will review what sources of listening data, 5) Structure your conclusions by continuously have a current best thinking about what, when, where and how people engage in things related to your offer (your product, closest to you), industry and purpose (there could for example be players in other industries trying to deliver on the same purpose as yourself). The data sources you can use for your first read (step 1) are things such as in-home observations, interviews, surveys, customer service data, social media monitoring, web analytics and search analytics. Next step: Start using listening tools and start forming hypothesis around people’s behavior linked to your offer, industry and purpose. Summary: The difference between an ad and a so called sweet spot asset is that a sweet spot asset is something that BOTH you and the person you’re trying to talk to really care about. There are many things you care about that people don’t care about, for example an online exhibition visualizing the heritage of the company, behind the scenes videos about the unique formula, a fake celebrity endorsement of your product, an ad comparing your product vs your leading competitor’s product. There are also many things people care about that are not relevant to you, for example an ad with a celebrity in it being very funny, epic fails, a leading hair vlogger using your logo in the corner of the screen, a content hub with beauty tutorials. However, if you invest energy in finding it, there are things highly interesting to both you and people, for example tailored hair care recommendations based on hair type, lifestyle and personality, product finder for your hair type, Unedited user ratings and reviews, quick test to choose the right stroller for you, hair health hacks. These are the sweet spot assets you should be creating to connect people with your products. 1. STRATEGY – Does it have a clear ROLE to play? 2. WHAT – Does it ADD VALUE to people? 3. WHAT – Are you the most RELEVANT provider of this message? 4. HOW – Does it STAND-OUT in your category? 5. HOW – Do you use a LOOK & FEEL that people immediately recognize as yours? 6. Do you Keep it SIMPLE? 7. FINAL CHECK – Do You LOVE it? 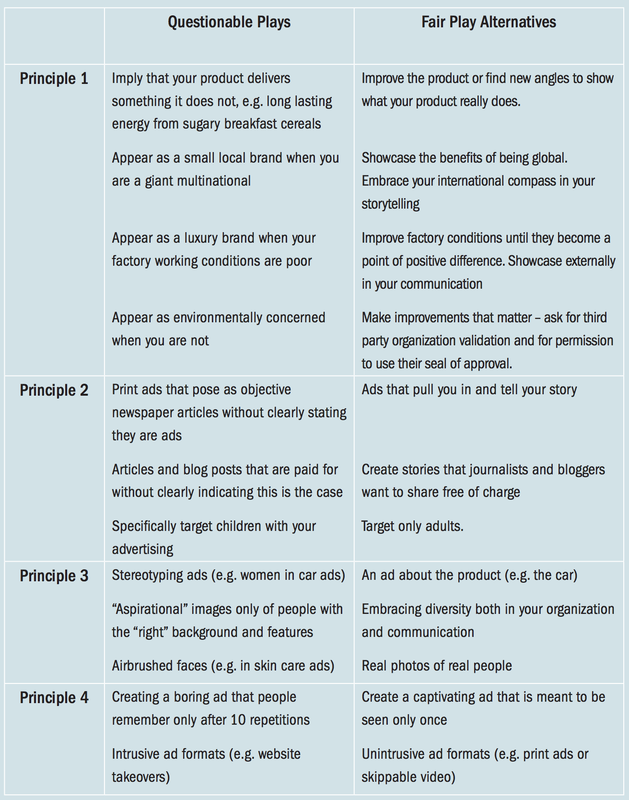 Next step: Ensure you have sweet spot assets created for all intent levels (SEE, THINK, DO) and continuously use the Creative Checklist to assess them. Summary: Social media is a great and growing opportunity of virtual networks of people. Social media can connect you with stuff (DO), content (THINK), and people (SEE). Social media gives great opportunities to put sweet spot assets such as videos and other creatives in a relevant context. This said, social media needs to be as ruthlessly evaluated as all other media on relevant KPIs, otherwise it’s easy to fool yourself that 5,000 fans engaging with a competition will move the needle on your business – it won’t. Next step: Use a social media monitoring tool to find out where in social media 1) your products are sold, 2) your industry is talked about, and 3) where you can reach your potential customers, but remember to evaluate the Reach, Quality and Cost of your potential social media channels versus all other marketing options and keep only the competitive elements in your plan. 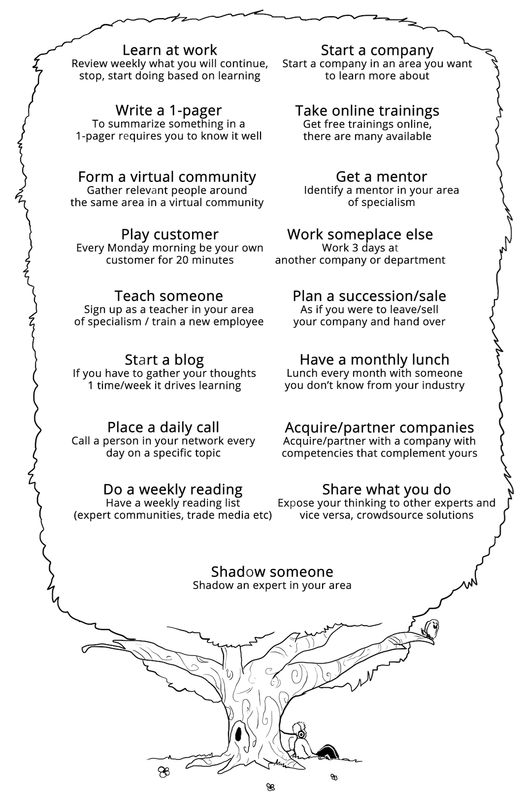 Summary: You can only grow your business by reaching more people, i.e. driving penetration, NOT by driving loyalty (common misperception). You can reach more people by making your products available in more markets, opening new stores, expanding to more media channels or increasing the budget of your media plan. This said, you need to look at both Reach (unique number of people reached), which is fairly easy to measure, and Impact, for which there is no industry standard. Impact is a combination of the asset/creative, which we have looked at in Practice 6, and the carrier of that asset, i.e. the media channel. Some factors to look at when comparing the impact potential of different media channels are viewability (how many people actually see the ad), creative freedom (fixed or flexible ad formats), number of ads (cluttered / non-cluttered media). There are three important principles to get the distribution (reach) of your sweet spot assets right: 1) Segment based on what people really do (signals), not who they (say they) are, since people will claim all kinds of things, but what they really do, i.e. their behavior, gives away the truth, 2) Start by creating your so called always-on plan that runs every hour of every day before creating any time-limited campaign plans, 3) Don’t look at averages (average price, average reach etc), but look at analytics and learn more about who you are actually reaching at what impact and cost. 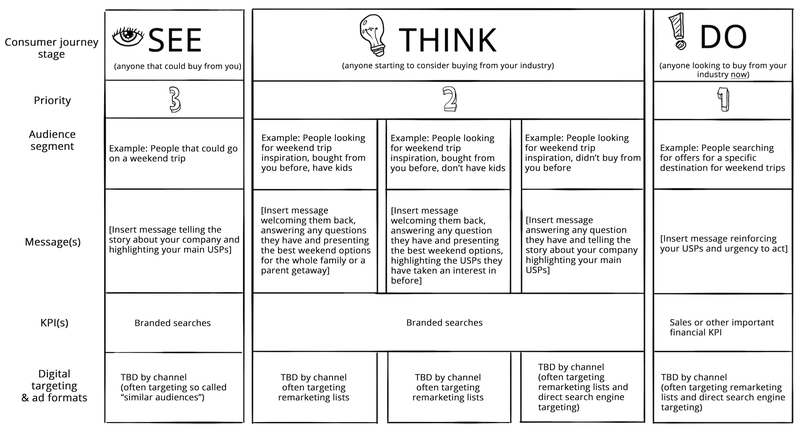 Next step: Ensure your media plan 1) is designed to drive penetration, not loyalty, 2) covers all three stages of SEE, THINK and DO (THINK is often forgotten), 3) takes Impact (Quality) into account when comparing media options, not only Reach and Cost. Summary: Programmatic marketing is all about harnessing the power of technology to let computers optimize the placement of your ads, enabling you to make the ads much more personal and consequently relevant. Programmatic marketing is the fastest growing part of marketing and many people expect programmatic marketing to constitute the majority of marketing within short. Programmatic enables you to for example stop showing ads to people that have already seen them and personalize the ad based on their location, interests, device, traffic situation, time of day etc. It’s important that you or someone else in your organization knows programmatic in-depth to be an informed customer to your partners. 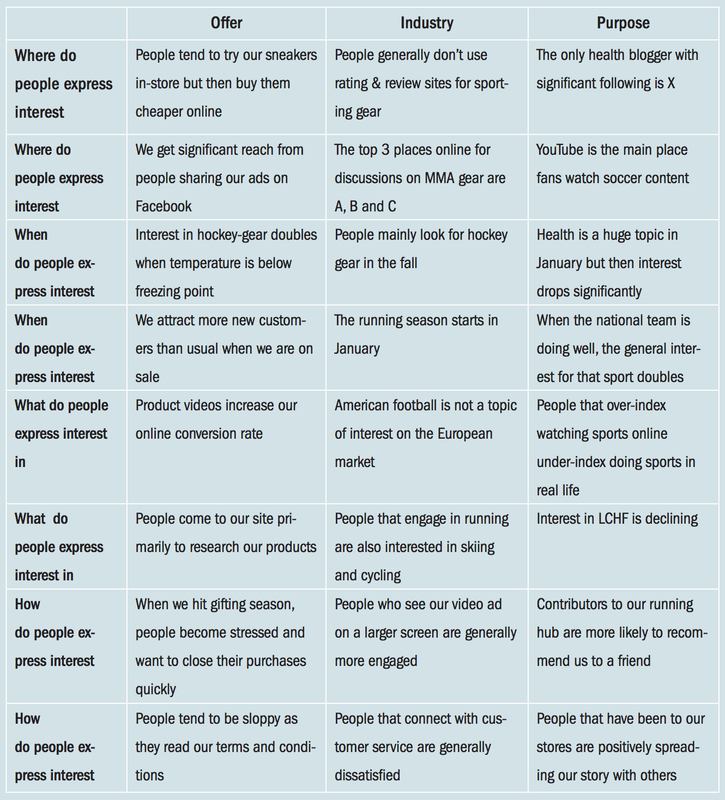 Examples of questions you should have the answer to: How is a programmatic campaign executed in detail? Do you own your data, and if not, who does? Do you know where your ad is shown? How does your investment in a programmatic campaign break down? Next step: Get everyone (sales & marketing team and external partners) into a room and execute one programmatic campaign perfectly from start to end, including having a weekly check-in meeting to continuously review the results, unforeseen challenges etc – By doing one campaign in-depth everyone will understand what programmatic marketing is all about. Summary: In a rapidly changing world you need to continuously optimize your efforts. To do this well you need 1) Leader – Someone needs to feel ownership and lead the overall optimization work, 2) Team – Beyond the leader you need a loop team of performance marketers, analysts and creative people, 3) Plan & Process – The team needs to gather around one overall optimization plan & process, 4) Hit-list – A continuously updated list of what to test and optimize, 5) Method – Attribution is the underlying method for all optimization, 6) Tech – You need systems, software and other tech to allow you to efficiently work with optimization. Three examples of things you can and should optimize are your website, your sweet spot assets, your distribution/media plan. The overall method for optimization is Attribution, of which there are many variants. Two common ways to optimize are 1) A/B testing, comparing two or more options, 2) MVT – Multivariate Testing, enabling you to change specific details between options and figure out more in-depth than A/B testing exactly what is driving any differences in performance. Next step: Assign/hire an optimization leader that runs a weekly loop-team meeting using an optimization plan. Summary: Always innovate with a starting point in your purpose, i.e. how you make life better for people. 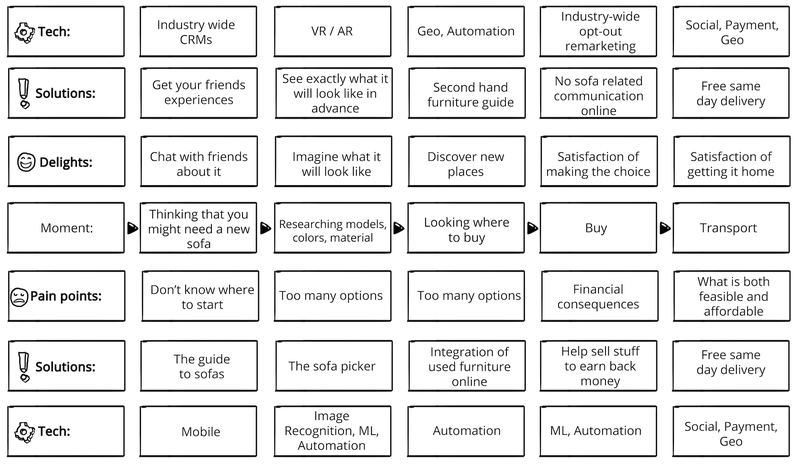 Start by plotting the customer journey, add what’s good and bad with each step, then come up with solutions to amplify the good and remove the bad, to then add what resources are needed to realize the solutions. This way you take a starting point in the customer, not the resources such as technology. Innovation needs to be everyone’s business, so split all resources such as time and money according to 10% on innovation trials, 20% on scaling the best performing innovation trials, and 70% on daily operations. In addition to this, break out a part of your company with the brief to put you out of business. If you are going to be put out of business, would you rather it’s by someone you own or someone you don’t? The most important innovation KPI is to kill ideas early, i.e. that no ideas should be killed after the initial qualification process. This since killing ideas late in the development process incurs a lot of cost. 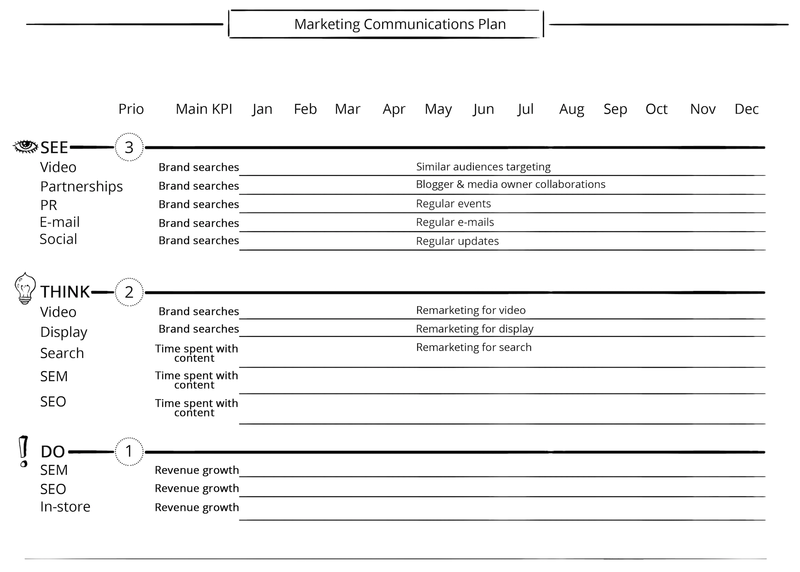 Next step: Split your resources (budget and time) in 70/20/10 and always start innovation in the customer journey. Next step: Only create marketing that you would be proud of telling your children about and apply the principles of fair play in marketing. If you found this interesting you can get the full book at MarketingGoesDigital.com.